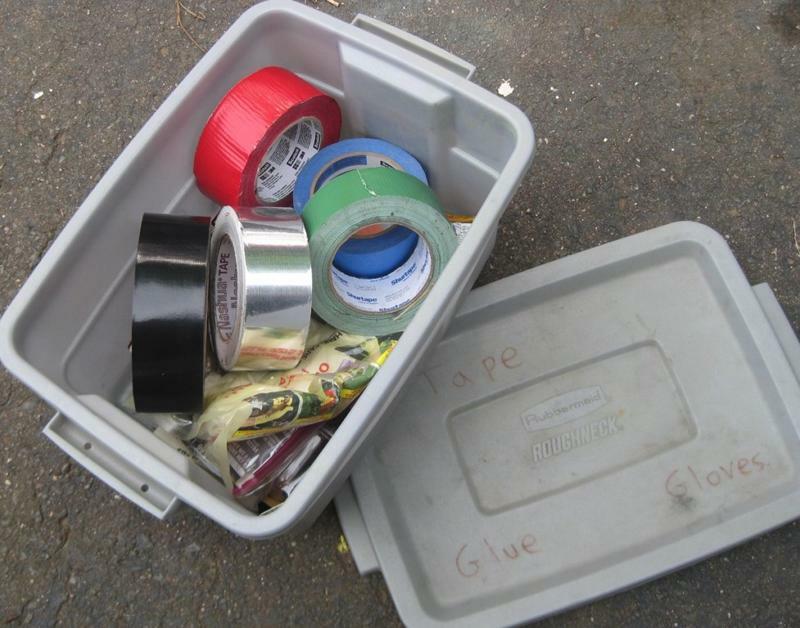 We all know how much men love duct tape, but racing has opened my eyes to a whole new world of tapes and adhesives. This just proves that tape can fix just about anything! Having an array of these products when in the shop or at the track can prove to be quite useful. Anything from temporarily securing a bumper cover while at the track, creating numbers for the racecar if the number on your car isn’t available, securing roll cage padding…the possibilities are virtually endless! With these great opportunities, you need to know which adhesives you should have on-hand. Here’s a list of the various items I have in my wonderful supply box along with a few applications I’ve found them to be particularly useful. 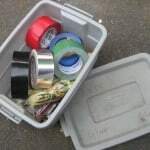 Gorilla Tape: When I saw this product at the home improvement store the other day, I was intrigued knowing the buzz about their Gorilla glue. It was a bit more expensive than traditional duct tape, but I just had to give it a try. As I started to peel the tape off the roll, right away I knew this stuff was going to be pretty darn good. I mean, it was actually a bit tough to peel off. I decided to test the product and was quite impressed with the results. Not only does it adhere where most other tapes won’t, it’s also made from a thicker and stronger material. Racers Tape: Ahhh, since it’s called “Racers Tape” it must be good. Compared to the Gorilla tape, the adhesion level is not as strong but there’s still a place for it in the tape box. One of the nice things about this tape is it comes in several different colors. In fact, OG Racing carries a total of eight different colors. One of the many applications I use Racers Tape is to create car numbers. Most of us racers use vinyl numbering on our cars, but what happens when our number isn’t available? By first applying some painters tape, I then can use Racers Tape which is the same general color to make the car number I’ve been assigned that particular weekend. Electrical Tape: It’s used for, well, electrical stuff. I have found it useful to have both a black color as well as a red color to help easily differentiate items it is being used on. Metal tape: Depending upon how fanatical you are with keeping the car pretty, metal tape can make for some quick body work completion. I’ve found it useful in patching small holes then applying some paint on top. J-B Weld: Don’t have access to a welder and need some small repair completed? This stuff is actually pretty good. At the track I’ve used it complete a repair on a radiator leak. If I didn’t have it, there’s no way I could have gotten it fixed in time. Super Glue: These are nice for smaller, typically cosmetic fixes. Considering how inexpensive it costs,. Liquid Nails: I dare speculate where this stuff will be used, but let me tell you – it’s strong glue! So much so I forewarn you that once you put it on, don’t ever expect to get it off. Multi-metal epoxy: I haven’t actually used this yet, but it’s one of those products that seems like it could be useful someday and it is in my box of goodies. Have any others you recommend?